NSC IC Opener PL201 Series is equipped with fiber laser, so it has achieved a lower cost and longer life-span as compared to a conventional solid-state laser. PL201-20,PL221 have an additional function of cross-sectioning. By removing mold compound by laser, it can greatly reduce acid consumption and processing time during acid or plasma decapsulation. 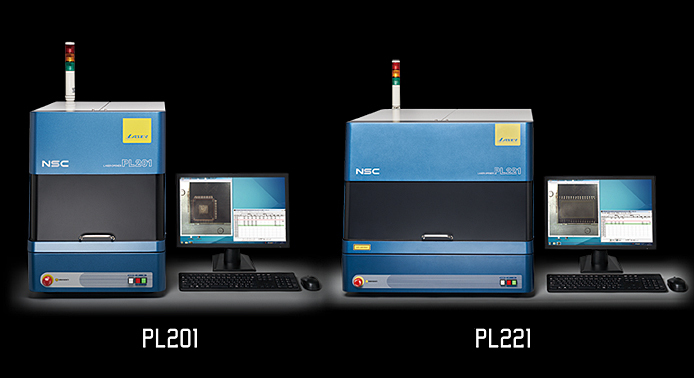 PL201-20,PL221 are equipped with 20W fiber laser, and it is capable of cross-sectioning and cutting out IC from PCB. Large samples like PCB can be placed on the 397x170mm stage. System price is reduced due to a cost reduction on the laser unit. Optical fibers are used for all optical components. As fiber laser unit is not exposed to the air, system is resistant to degradation caused by dust and thus has longer lifetime. Because high power laser can be used with less damage on bonding wires, decapsulation speed was greatly improved. A 50% smaller in spot size has greatly improved the decapsulation quality. 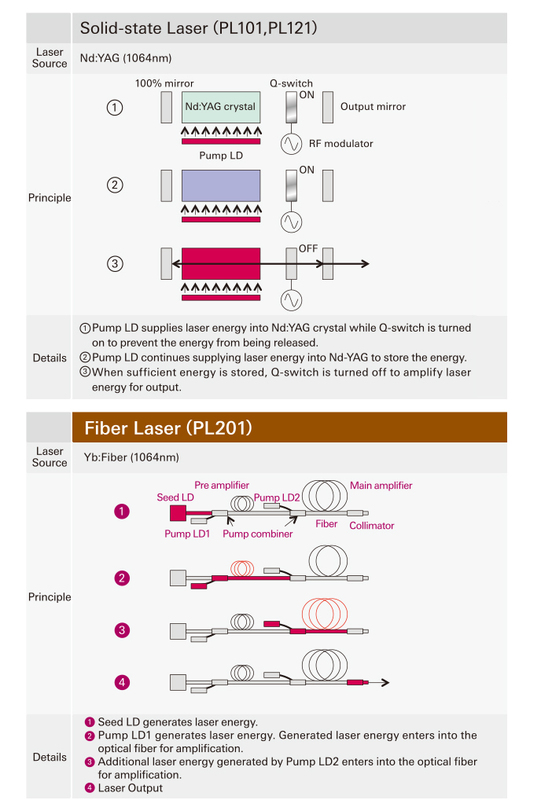 PL201 is Class 1 Laser product. Higher resolution with improved vision camera for real time imaging. Signal Tower is attached to confirm the operation status. Key switch operation to prevent unauthorized use. Safety interlock is attached to disable the laser when the door is open. System prohibits the door from opening during laser process. To keep the chamber clean, fume and dust will be exhausted from the suction duct attached near the stage. User-friendly software by simply selecting pre-set laser condition, and set the process area by mouse drag or numerical value input. X-ray, C-Sam, Optical, Schematic image overlay for easy positioning setup. Image brightness is also adjustable. High resolution 5 Mega-pixel camera with 25mm lens (Field of View: 45x35mm) for clear images. Highly accurate processing area setting with 2x, 3x zoom in and 1/2, 1/3 zoom out functions. Capable of working on packages even smaller than 1mm x 1mm. Created recipe can be stored and repeatedly used for the same samples. Stage height is adjusted automatically and constantly to maintain the same focal length for every process. Nippon Scientific Co., Ltd. All rights reserved.